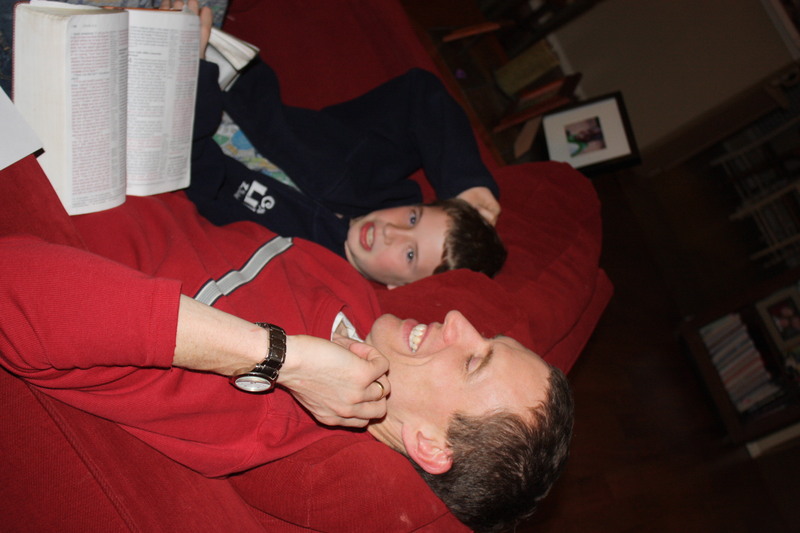 Next to praying for my children’s salvation, a passion for God is a close second…. a HUGE desire we have for our children. 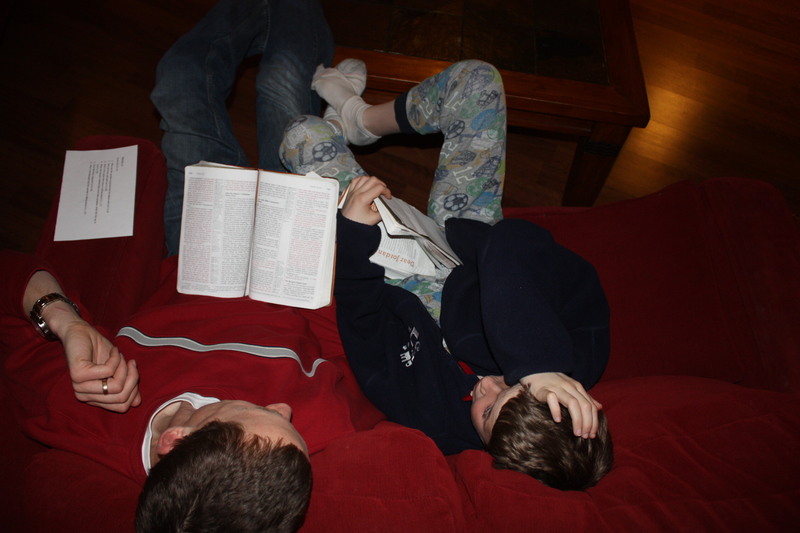 I caught these two on the couch today studying God’s Word. I was going to say a passion for God leads to a passion for His Word but it seems that a Passion for His Word leads to a Passion for Him. Once again, if that saying is true about “children live what they learn and learn what they live,” then our children have a pretty hefty start (thanks to their Daddy). This entry was written by texasknights and posted on February 12, 2011 at 11:44 pm and filed under 31 Days of Praying for my children. Bookmark the permalink. Follow any comments here with the RSS feed for this post. Post a comment or leave a trackback: Trackback URL. Hi! So good to hear from you. I always enjoy getting caught up with you, reading your inspiring posts, and seeing pictures of your family. Lovely!